One of the simplest Google Adsense configuration WordPress Plugin. Get maximum Google Adsense revenue by configuring Adsense correct way. 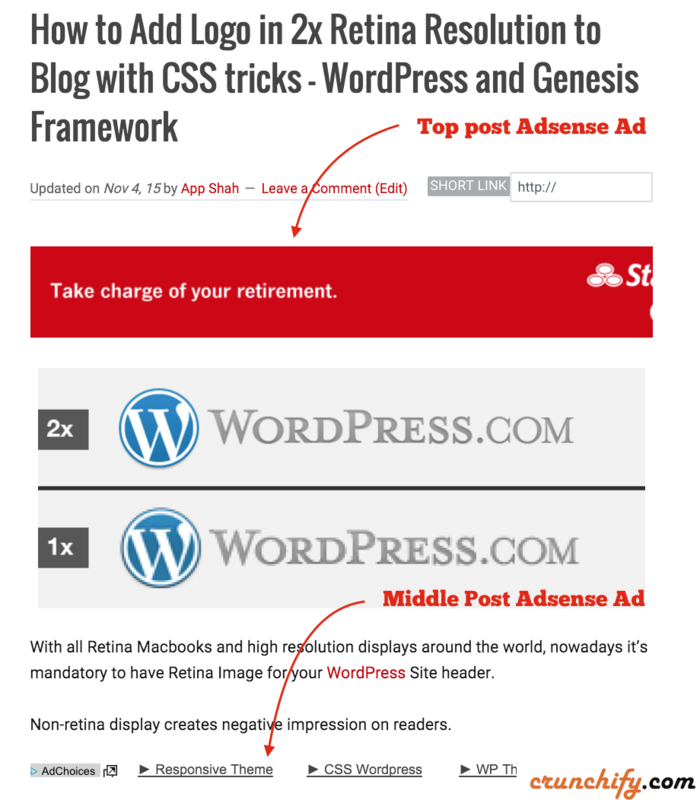 Why another Google Adsense WordPress Plugin? So far I’ve used so many Adsense plugin but none of them satisfied my custom need. How disable Ads at HTML Widget in Sidebar? Are you using Social sharing plugin? or Adding AutoAds as part of your Google Adsense account? Is there an option to utilize this with other adsense besides Google…. Yeah. Just put complete code from other Adsense competitors and plugin will add code at specified location. Hello, I added the plug in to my word press. I did it at the top and bottom. I also added the code from my adsense but i dont see any ads. Am i doing something wrong or will it not work in a store type format? Hi Steve – sorry for late reply but have you try cleaning your WordPress cache? Hi Rahul – you have put Adsense ad code any 3 blocks as you in screenshot. Make sure you have ticked checkbox for Home, Page, Post too. Please share your site URL if you still have any issue and I’ll help you debug further. When I add the Adsense start code (I am a new Adsense user) the start code doesn’t appear between and according to Google’s instructions (when I choose “show code” on the resulting web page). What do I do wrong? Sorry but I didn’t get your question clearly Tobbe. Could you please elaborate more? When will I get approval from Google AdSense ? Usually approval process take upto 2 weeks Rajesh. Hi There – good point. I’ll create widget section and will provide hook too in the next release. Please stay tuned.